Every woman knows how uncomfortable their monthly visitor can make life. 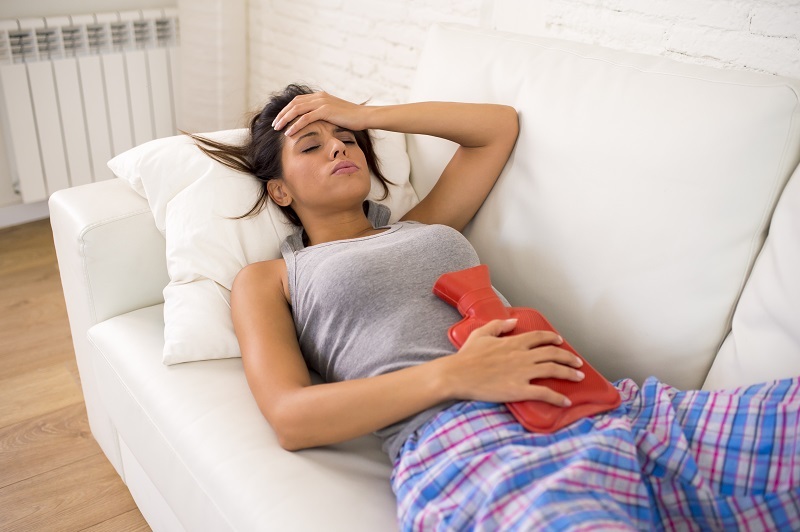 Although women experience PMS (premenstrual syndrome) and menstrual cycle symptoms differently, the struggle of finding relief for menstrual cycle pain can be the same. Some women take prescribed or over-the-counter pain medicine, some concoct a special home remedy, some engage in Yoga or physical therapy, and some just sleep off the pain. The truth about pain medicine is that most will work for a moment, but the pain from cramping, headaches, or body fatigue will eventually come back. Still, most doctors will recommend a simple anti-inflammatory to help ease the pain. However, many women are unaware of how chiropractic care can help relieve menstrual cycle pain. The focus of chiropractic adjustments is to remove spinal subluxations, which is when two or more vertebrae are out of position and impinge on the surrounding nerves. When a woman has a subluxation around the L3 vertebrae (lower back), the nerves associated with L3 which are connected to the reproductive organs of women, can cause painful and irregular menstrual cycles among other issues. Since the nerves are not sending proper signals to that area, the blood flow to the reproductive organs can also become irregular, which is one of the main causes for pain and cramping (womenshealth.gov, 2016). If you are experiencing more pain than usual during your menstrual cycle, depending on your condition, a chiropractor may be able to help. Call your local chiropractor to schedule an appointment today. If you know that your cycle is coming soon, it would only benefit you to ensure that your spine is functioning properly. Pain and discomfort may also be a result of from unbalanced in hormone levels, vaginal infections, inflammation, underactive thyroid, or changes in diet or exercise (womenshealth.gov, 2016). If you are experiencing unusual symptoms, it is important to schedule an appointment with your regular doctor or gynecologist. This can help prevent or correct those uncomfortable moments. In the event of severe back pain, a chiropractor may be your best choice, depending on your condition. Sustained an Auto Accident Injury?